This is a beautiful hand decorated LED fairy light bottle. A stunningly elegant bottle that would brighten up any room in your home. 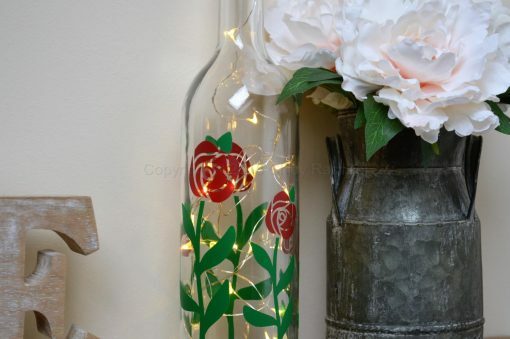 The delicate warm white glow would create a romantic atmosphere. A perfect gift for any friend or family member suitable for any occasion. 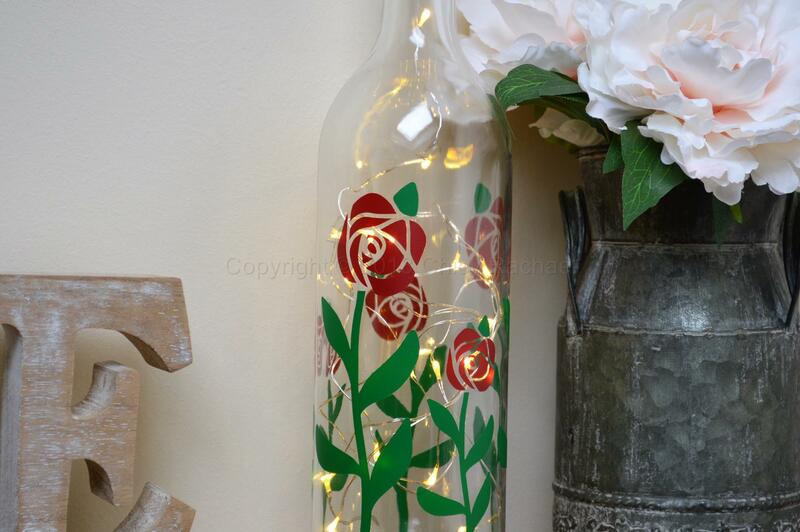 The clear wine bottle has been decorated with the varying sizes of steamed roses in vinyl all around. 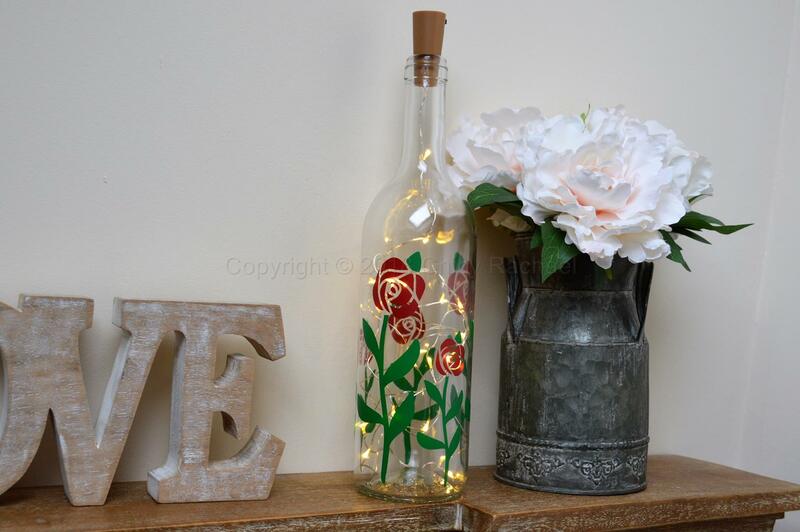 This would make a lovely gift for your mother on Mother’s day. The LED lights are on a copper silvered wire, they give off a lovely ambient warm white glow and powered by 3 x LR44 batteries. The lights are easily operated by an on/off switch on the cork unit.